Peter Svidler Wins His 5th Russian Chess Championship! The Russian Superfinal Championship ended in a three-way tie on the first place, but there was no time for immediate additional match because Peter Svidler, Dmitry Jakovenko and Evgeny Alekseev all had to participate at the European Club Cup. Now that the adventure is over, the players went back to Moscow to finish the business. The tiebreak tournament consisted of six rounds of double round robin (four games each) played with a rapid time control. Heading into the last round, Jakovenko held a half point advantage thanks to 2-0 beating on Alekseev, but then he had to face determinated Svidler. Just like in the main tournament, when he beat direct competitior on the final day to reach the top, Svidler calmly outplayed Jakovenko in the Anti-Marshall Ruy Lopez to claim his fifth Russian Championship. 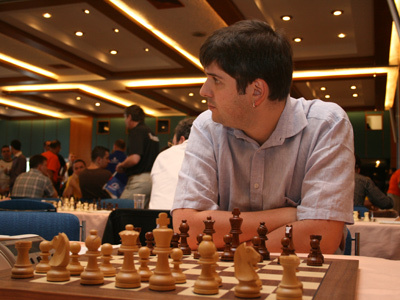 Incredible achievement from Svidler!